For more than 25 years, Jeanette Germain has helped non-profits market their services and attract funding to support them. She has written more than $3 million in successful grants and funding proposals for a long list of organizations. Thanks to her grant-writing efforts, for example, the Lee Pesky Learning Center initiated its first early childhood education program and trained teachers statewide to meet the requirements of the Idaho Reading Initiative. A recent grant helped the Girl Scouts of Silver Sage expand their new STEM (Science, Technology, Engineering and Math) programs. At Humphreys Diabetes Center, Germain enjoyed collaborating with other organizations on major projects. She worked with three Boys Girls Clubs to fund the creation of an award-winning childhood obesity prevention program. She wrote and managed a 2010-2011 National Institutes of Health research grant for Humphreys Diabetes Center in collaboration with the University of Idaho. Germain has produced influential newsletters and web content for clients ranging from the Idaho Outfitters and Guides Association, to the Idaho Commission on the Arts, to St. Luke’s Research. 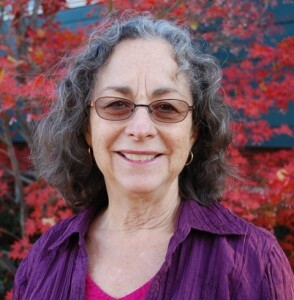 She has served as contributor and copy editor for local and national books and magazines. Her work is excerpted in Freelancer and Staff Writer and the St. Martin’s Guide to Writing. Social entrepreneurism counts as her particular strength and interest. She takes great pleasure in helping nonprofits initiate programs that serve clients while also creating income for the sponsoring organization. She was a co-founder and co-director, for example, of the 6-year-old Treasure Valley Weight Loss Challenge, which continues to enroll 700-800 participants annually.